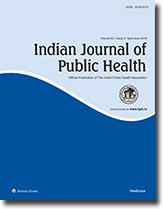 A household interview survey of 200 households in a semiurban community in Pune Cantonment carried out during 1979 revealed a prevalence rate (persons, 109/1000 of chronic illness. Prevalence rate (No. of illnesses) was 140/1000. Multiple illnesses were found among 23.5 percent of ill persons. The present survey has been found to bring out the nature and extent of the problem of chronic illness as perceived by the community and relationship of chronic illness to social factors. The information, can be useful for public health and further research. The present study revealed that the majority of nurses had adequate knowledge about dietary practices during the antenatal and post-natal period. However, their knowledge about nutritive value of foods and nutrition advice during disease conditions was inadequate. It is recommended that to make the training more meaningful, the identification of the incorrect dietary beliefs of trainees should be done at the beginning of the training course. Each incorrect belief should be explained in detail for better comprehension of the correct knowledge in nutrition.